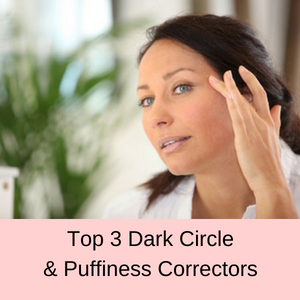 Most of us spend a fortune trying to find the best dark circle correctors to repair the dark circles and puffiness under our eyes. When we can’t find a good corrector, we end up using a concealer, which makes us feel better but doesn’t fix the problem! Let’s take a look at five common causes of dark circles and puffy or slack (baggy!) skin under your eyes because it might be an easy fix! Lack of sleep: Not getting enough sleep, particularly on a consistent basis causes excess fluid to build up under your eyes causing bags to appear and look quite pronounced. Dark circles can also be caused by not getting enough sleep as the blood vessels under your eyes dilate creating a dark colouration that is easily visible through the thin and delicate skin underneath your eyes. Getting older: Unfortunately, as you age, bags and dark circles under your eyes can become more prolific! 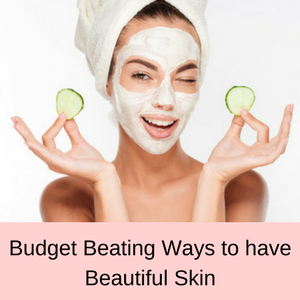 Bags can be caused by a loss of subcutaneous fat and collagen under the skin (a by-product of aging), which causes your skin to become loose and droop underneath your eyes. Dark circles can appear because the dilated blood vessels can be more easily seen through the thinner skin under your eyes. Too much salt: A diet high in salt can result in an excess of fluid that can accumulate in many parts of your body, one of which is under your eyes leading to puffy eyes. Smoking: A breakdown in collagen is one of the results of smoking, which is why you often notice that the skin of smokers is prematurely lined and wrinkled. 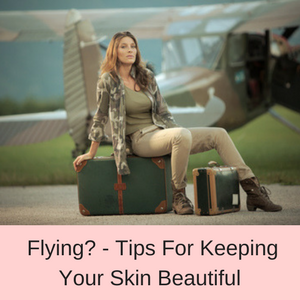 A lack of hydration in the skin can also be a problem for smokers, so when an excess of fluid is stored in the cells underneath the eyes, it can lead to a very pronounced ‘baggyiness’ and ‘sagging’ appearance. 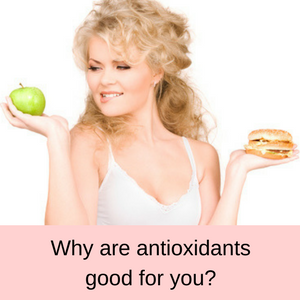 This lack of collagen can also make the blood vessels appear darker underneath the skin resulting in dark circles under the eyes. Genetics: Unfortunately, bags under the eyes, puffiness and dark circles can all be hereditary with some people more prone to suffer from them than others. 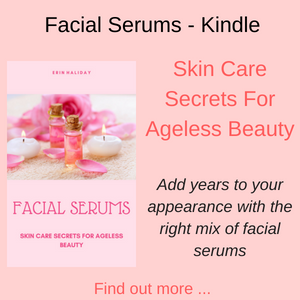 If your parents or grandparents have these problems, then the earlier you start to use skin care products that can help to minimise their effects, the better for your complexion. 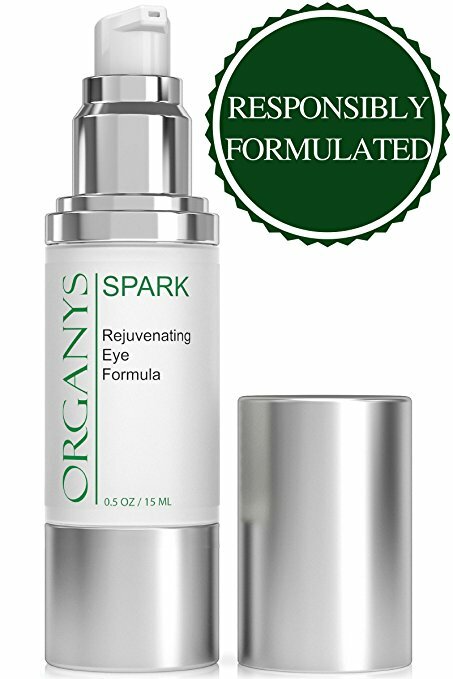 The Organys Spark Rejuvenating Eye Formula is best one of the best dark circle correctors on the market. 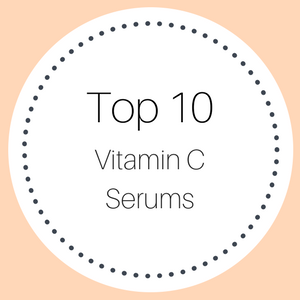 It is a combination of peptides, vitamin C, hyaluronic acid and caffeine that delivers astonishing results for many people with dark circles, fine lines, crows feet and bags under the eyes. Simply apply the moisturising gel every day in the morning or evening and you will soon notice that your skin appears tighter with less puffiness and dark discolorations under your eyes. Made in the USA at an FDA-registered lab, this moisturiser is free from colors, fragrances, parabens, sulfates and phthalates and is not tested on animals. This eco-friendly skincare brand is committed to minimising waste and working with responsibly sourced ingredients. Their eye cream is responsibly formulated with rice & soy amino acids and yeast proteins and is created in small batches so it’s always fresh. 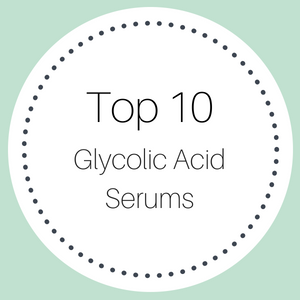 Ingredients: Water, Acrylamide/Sodium Acrylate Copolymer, Mineral Oil, Trideceth-6, Soybean Protein, Hydrolyzed Rice Protein, Superoxide Dismutase, Palmitoyl Tripeptide-5, Glycerin, Passiora Edulis Fruit Extract, Citrus Lemon Fruit Extract, Pineapple Fruit Extract, Grape Fruit Extract, Sodium Hyaluronate, Cucumber Fruit Extract, Aloe Barbadensis Leaf Juice, Phenoxyethanol, Ethylhexylglycerin, Coffee Arabica, Vitamin C, Ergothioneine, Vitamin E, Tetrasodium EDTA, Potassium Sorbate, Vitamin K.
With more than 2500 online customer reviews – what do customers really think about the Organys Spark Rejuvenating Eye Formula? Love this product I can really tell a difference. I love this product, very smooth and last all day. 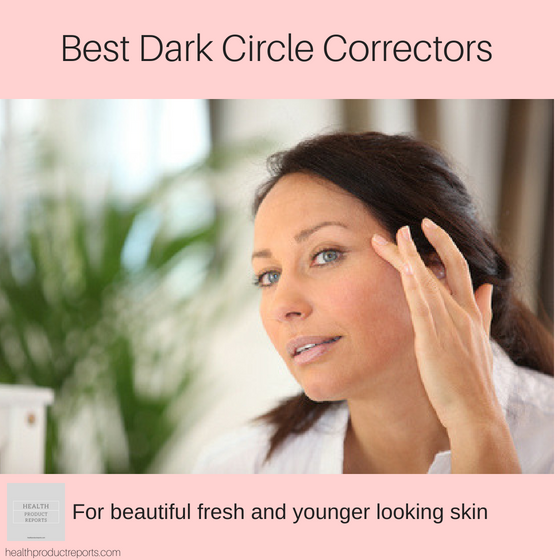 This is great for dark circles. I use it all the time and it gives my eyes a much fresher and relaxed look. I can’t believe this stuff actually works….I started seeing a difference within 2 weeks. 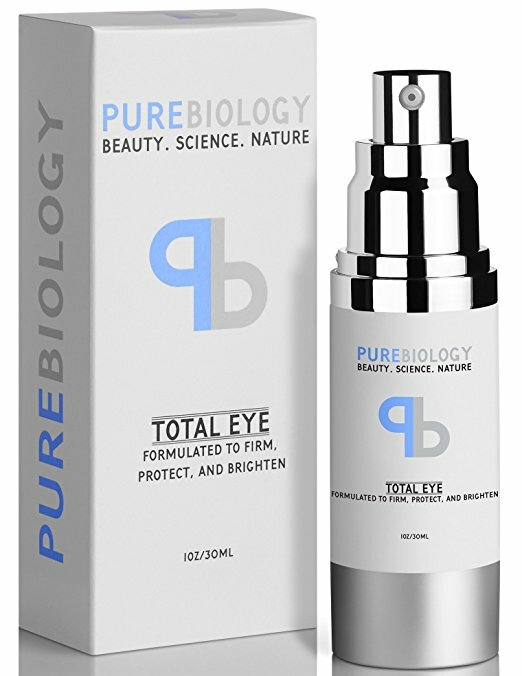 The Pure Biology Total Eye cream is another of the best dark circle correctors on the market. With two proprietary and clinically tested ingredients (Fision™ and Tien™), your results are practically instant – your skin is lifted, firmed and tightened to banish puffiness and under eye bags and the intensive moisturising, protective and defensive ingredients help to banish dark circles. This wonderful cream not only rejuvenates the skin around your eyes, but it also protects this delicate skin from the damage caused by UV rays free radicals. It’s made in the USA and is cruelty free and doesn’t contain artificial fragrances or parabens. 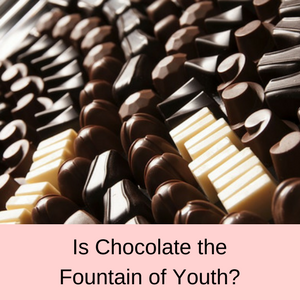 Ingredients: Water, caprylic/capric triglyceride, glycerin, myristate, glyceryl stearate, polysorbate 60, butylene glycol dimethicone, hydrolyzed rice protein hydrolyzed pea protein, glycine, proline, hydrolyzed sodium hyaluronate, hyaluronate soy protein, acacia senegal gum, xanthan gum, shea butter, baobab extract, wheat germ extract, sorbitan stearate, caffeine, tocopheryl acetate, carbomer phenoxyethanol, triethanolamine. With nearly 3000 online reviews – what do customers think about the Pure Biology Total Eye cream? I have tried several brands of eye creams and I am SOLD with this product! Been using the Total Eye cream morning and night It must be miracle because the circles and bags are gone. I love this eye cream! It works better than anything else I have used to get rid of black circles and wrinkles. The Baebody Eye Gel is another of our picks for the best dark circle correctors on the market. 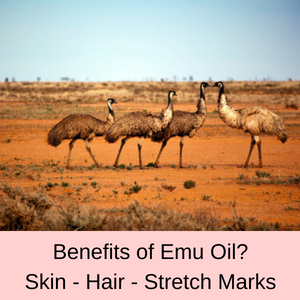 It helps to reduce puffiness and dark circles under your eyes, as well as slight bags, fine lines and crows feet. This fabulous eye gel contains hyaluronic acid to super hydrate your skin and stimulate the production of collagen, Matrixyl 3000 which also boosts collagen and repairs your skin, as well as MSM to form connective tissue and brighten your skin, and Plant Stem Cells to strengthen and protect your skin against UV damage and free radicals. It doesn’t contain any fillers or harmful fragrances, dyes or parabens and it’s cruelty free, not tested on animals and made in a GMP Certified & FDA Registered Facility. 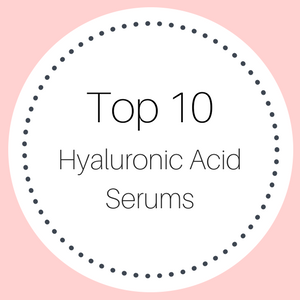 Ingredients: Organic Herbal Infusion, Organic Aloe, Matrixyl 3000, Palmitoyl Triepeptide-3, Kosher Vegetable Glycerin, Plant Stem Cells, Cucumber Hydrosol, Organic Jojoba Oil, Botanical Hyaluronic Acid, MSM, Hydroxyethyl Cellulose, Carrageenan Gum, Silk Amino Acid Blend, Wildcrafted Periwinkle, Organic Licorice, Wildcrafted Eye Bright, Wildcrafted Reishi, Organic Gotu Kola, Vitamin E, Frankincense, Sodium Benzoate, Ethyl Hexyl Glycerin. 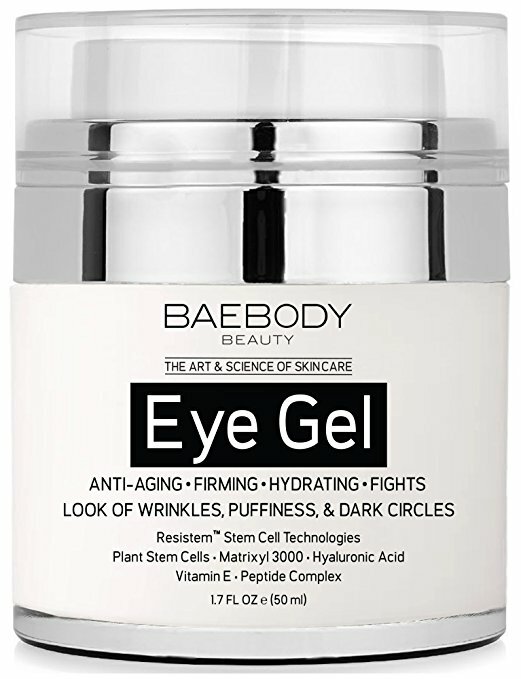 With more than 13,000 online reviews – what do customers think about the Baebody Eye Gel? I have been using it for just 1 week and I’m already really happy with the results. Love this product. I use it faithfully. It’s magical to watch those bags shrink and my eyes look years younger. Seriously no dark circles I use this religiously. Love Love! This actually reduced the dark circles, puffiness, and fine lines under/around my eyes.